Today as we officially recognize Veterans Day, I would like to share with you my experience from last Friday. I had the honor and privilege to represent Cabot at A Salute to Veterans at the Geno Merli Veterans Center in Scranton. 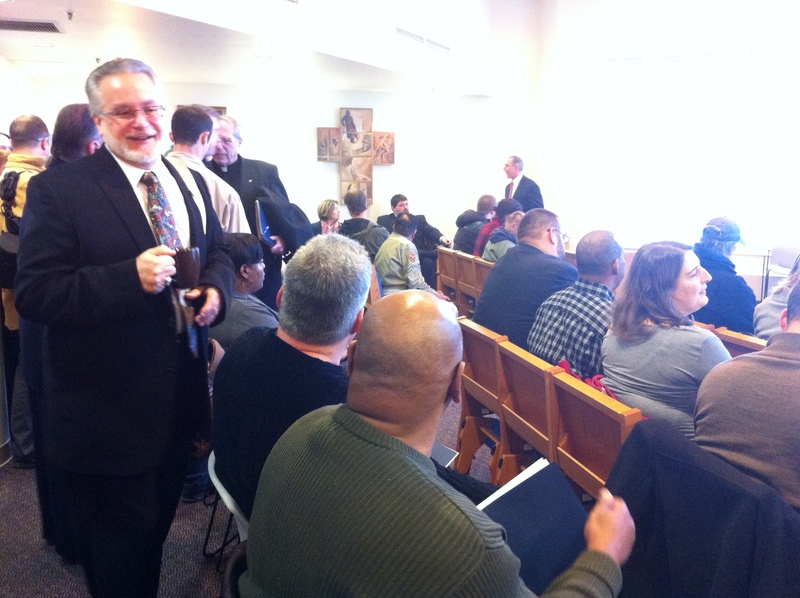 This event was organized by the Geno Merli Veterans Center, Career Link, Senator Blake’s Office and Cabot. Collectively, the parties wanted to express their gratitude and thanks to the local veterans for their service and sacrifice. Also, they wanted to ensure that veterans know of the services provided by Catholic Social Services, Career Link, Tobyhanna Army Depot and the Veterans Center. The Keynote Speaker was the Deputy Adjutant General Mike Gould from Fort Indiantown Gap. He drove home the point that the best homecoming for a returning veteran was a good employment. He felt this was the most important item. Good employment opportunities could help when it comes with dealing with other issues of returning to the civilian life. He also stressed that we all must Never Forget and encouraged us to lend a helping hand to those veterans struggling to adapt back to life outside the military. 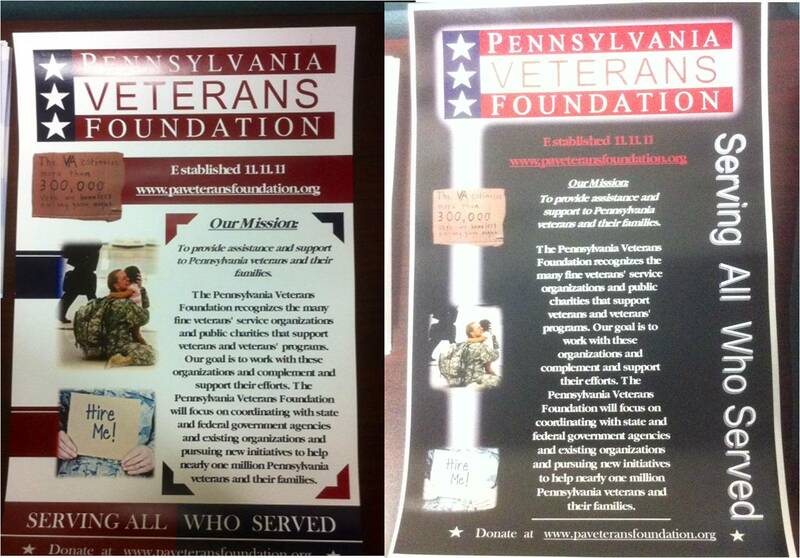 Gen. Gould outlined why he was moved to create the Pennsylvania Veterans Foundation on 11-11-11. He shared first hand experiences and told stories of how others have come together to help, aid and assist fellow veterans and their families in times of critical need. My presentation dealt with how the Marcellus Shale industry is providing employment opportunities, and most importantly, how our industry embraces veterans. I shared with the attendees how veterans are a group a candidates our industry wants to hire because they possess a strong work ethic, come prepared, can make quick decisions and are not afraid of getting dirty or putting their back into their work. The industry hosts and sponsors specific workforce efforts to place veterans within the drilling companies the completion crews or the heavy equipment operators. Additionally, I encouraged the veterans to utilize the personnel and offices of Career Link, since they are a central clearinghouse for openings within the industry. Lastly, I was pleased to not only highlight our efforts to making sure employment was available to returning veterans, I was also able to demonstrate we will Never Forget those veterans in need. 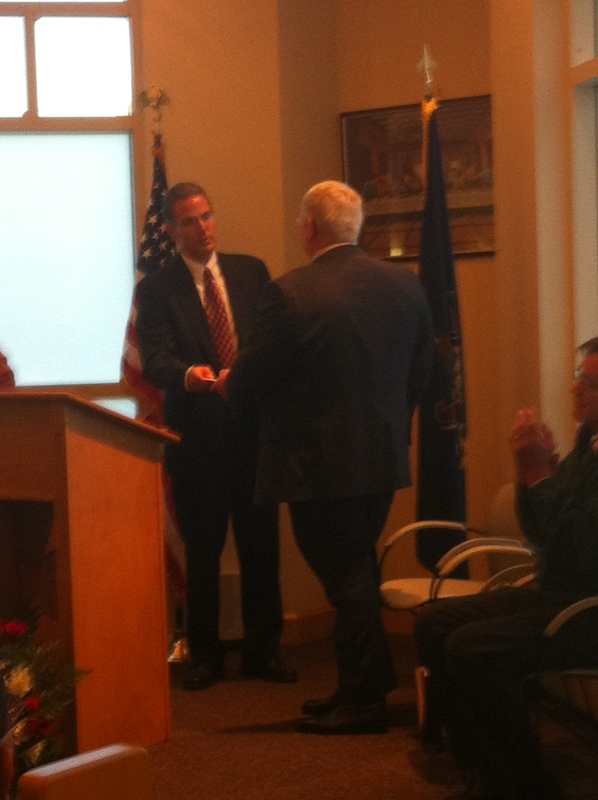 Cabot made a $5,000 donation to the Pennsylvania Veterans Foundation and called upon them to keep up their good outreach. Veterans Day is once a year, and it might not be on your mind every day, but it’s important to remember Veterans’ service, sacrifice and skills. I was touch to be able to be part of a worthy event and pleased to see our ongoing efforts and the direct impact with our Military Service Men and Women. You can read the Scranton Times-Tribune’s coverage of the event here.